Beadsmith Soutache Braid has been specifically created for jewellery makers. It has been designed to be consistent in width and drape. 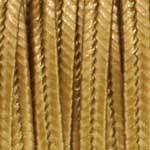 We have Rayon, Polyester and Metallic braid.